TransPhone is the ideal iOS Manager to transfer music, applications, movies, ibooks among iPhone, iTunes and Computer. Help iOS users to extract videos, photos, sms and contacts from iTunes backup files back to local computer. Myjad Android Data Recovery is designed to recover deleted files from Android Phones and tablets. Want to free iPad space by migrating music to computer? Without iTunes, TransPhone is a great alternative for transferring iPad music to computer. 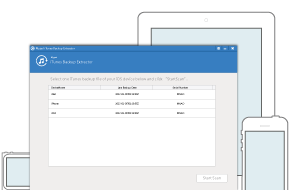 Want to free space by keeping a backup on Mac but not iTunes? TransPhone is a good choice of omni-directional music transferring from iPod to Mac. Wanna transfer music from iPod to iTunes library directly? TransPhone is an amazing iOS data transferring program which can fill iTunes loophole. "I deleted my Samsung text message by accident. There is a third party software which works great for me. That is Myjad Android SMS Recovery." "TransPhone is fast and easy iOS Manager. TRANSFER MUSIC, PLAYLISTS, VIDEOS, PHOTOS, PODCASTS, ETC. Does exactly what it claims." "Flipbook Maker is easy to use. Great product to create flipping brochures from my PDFs, included free templates, themes and more..."
"iTunes Photo Extractor can easily dig out the media files from iTunes backups. My lost photos can be restored in minutes. Highly recommended!" Myjad Android Data Recovery scan the lost data on Android smartphones, included the SD card on your Android device. Myjad Keylogger Pro support parents to record keystrokes, E-mail, chat and programs of your child's PC. MYJAD DATA RECOVERY is non-destructive and professional software that recovers files, formatted disks and even lost photos.